MainAll NewsJewish WorldAre you ready for Rosh HaShana? Start now! 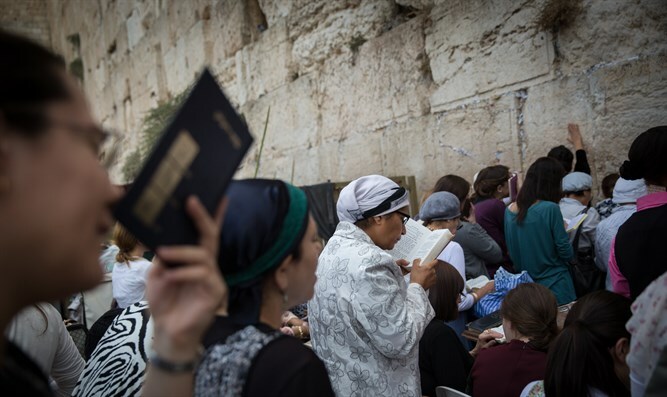 40 days at the Kotel by the Vaad HaRabanim. Dazzling gates open before you as Malachim (angels) speed over head. You stand before Melech Malchei HaMelachim (the King of Kings) with your list of requests but your head is bowed. With what zechus (merit) do you deserve all of this? Suddenly, a legion of Psukei Tehilim (Psalsm) rush the throne room. Ribbons of Tehilot and Tishbachot surround the Kisei HaKavod (Holy Throne). And they are arriving fresh from the holiest place on earth: right across from Kodesh HaKodashim (Holy of Holies). Welcome to 40 Days at the Kotel by the Vaad HaRabanim. It was the Ohr HaChayim HaKadosh who revealed the awesome power of 40 days at the Kotel. Countless Jews have found their Yeshuot in this miraculous way. And is there a more perfect set of forty days than between Rosh Chodesh Elul and Ne’ilah of Yom Kippur? From the moment of the first Tekiah, until that final Tekiah Gedolah - Hashem Hu HaElokim! - a Shliach will pour out the timeless Tefilot of David HaMelech non-stop, 24/7. In support of this Tzedakah, leading Gedolei Yisrael will visit the Kotel each and every day to aid in this incredible endeavor. The sheer force of their combined Tefilot is enough to shatter the Shaarei Shamayim. They support and guarantee that Vaad HaRabanim’s activities are completely geared to aid the Nizkakim who so desperately need your help. Tzedakah is so potent because you are giving of yourself. Our tradition teaches that when you exert effort and Hashem generates Parnassah, your very Nefesh is extended into that earning. When you give of this money to those who need it most, you are giving them of yourself. It’s amazing. This is why Tzedakah is so important in achieving a Ketiva V’Chatima Tovah. It is in this way that you show ultimate Mesirut Nefesh because you have given your very Nefesh to be Mikadesh Sheim Shamayim. Join Vaad HaRabanim’s 40 Days at the Kotel right now. These moments are so crucial; you can’t miss out.